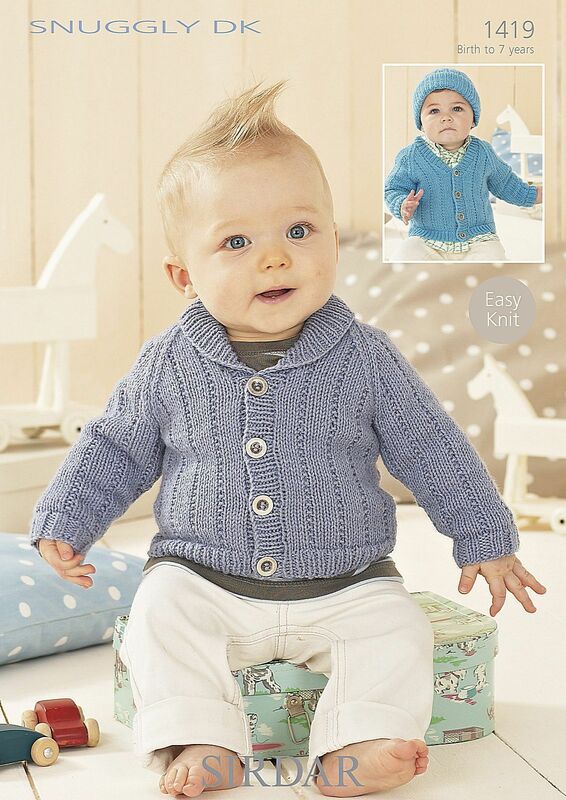 Two fabulous Cardigans and Hat patterns made with Sirdar Snuggly DK. Originally in Blue Bud (440) which is now discontinued. Please choose an alternative.